If your email stopped working when you set up your cPanel shared hosting account, this article has details about what happened and how to fix it. If you're just interested in fixing it, see the How to Fix It section. This article only applies to cPanel hosting. If you're not sure if this is you, see What type of hosting account do I have? Unlike our other shared hosting products, cPanel hosting includes email hosting on the same server that hosts your website. This integrated service means that you can use your cPanel account to host your domain name's email addresses. When you set up your cPanel hosting, we configure your domain name to use its email service by changing your DNS settings — specifically your MX records, which control which server receives your domain's email. If you're setting up a new domain name, this isn't a big deal. However, if you currently have email addresses at the domain name, changing your MX records disconnects your domain name from the server hosting them. That is to say, they stop working. The easiest solution it to add the email addresses to your cPanel hosting (more info). However, if you want to continue using the same email service, you need to change your MX records (more info). 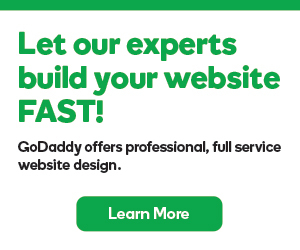 If you did not use GoDaddy's email service, you'll need to contact your email host for their MX records.